Remain comfortable and protected all year round, no matter how windy the conditions, in the Assos Mille GT wind jacket red men. A riding staple, this jacket is fully windproof with Foil Ultra material to the front; both water repellent and durable whilst ensuring a lightweight construction. On the side panels, Assos' Glossy fabric adds an element of stretch to ensure you have full freedom of movement and excellent breathability. 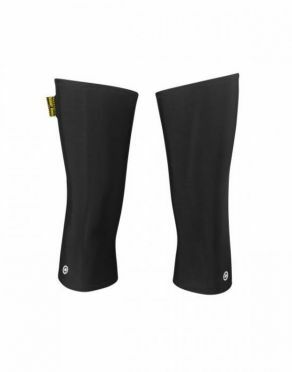 One of the least complicated yet most flexible pieces in the ASSOS wardrobe, the reworked Assos Knee warmers black unisex is a must-have cycling warmer for spring/fall and summer – if not in your wardrobe, then certainly in your back pocket. Based on feedback from BMC Racing Team’s top riders, these ASSOS knee warmers are now 7 cm longer than our previous model to give added protection and comfort. Fulfilling requisite ASSOS standards, these cycling essentials deploy the same performance-led textiles as found in our winter riding jackets to create these indispensible items. 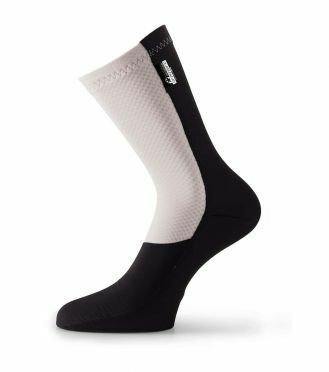 Worn like traditional socks, the Assos FuguSpeer_S7 cycling socks black/wit feature a windproof and water-resistant panel that wraps the foot. 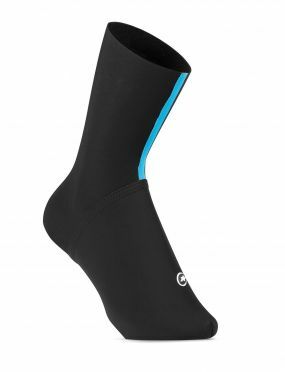 Covering the toes, heel, and achilles, these high performance cycling socks are from the same Stratagon fabric employed in our jackets and provides an additional line of defense to fend off windchill. The second part of the sock is composed of our proprietary thermal yet breathable RXQ fabric. With a brushed internal surface and crisscross structure, this imparts additional warmth without adding volume to ensure a trim fit. 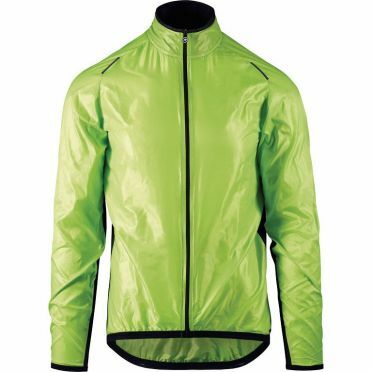 Remain comfortable and protected all year round, no matter how windy the conditions, in the Assos Mille GT wind jacket green men. A riding staple, this jacket is fully windproof with Foil Ultra material to the front; both water repellent and durable whilst ensuring a lightweight construction. On the side panels, Assos' Glossy fabric adds an element of stretch to ensure you have full freedom of movement and excellent breathability. 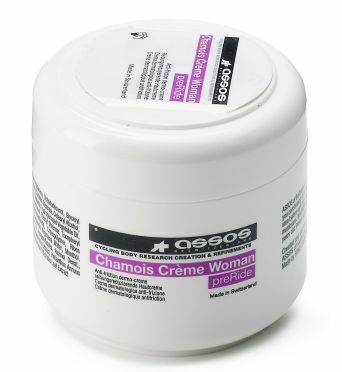 This Assos Uma GT half summer cycling tights no insert black women has been introduced as a result of feedback from Assos sales network, where demand has called for a lightweight, highly breathable summer tight so you can have a bit more protection against the harshest sun on the hottest days. Taking the technology and fabrics used on their UMA shorts as the basis, their engineers have used their tried-and-tested leg design to create a summer tight that give you opulent comfort without compromising freedom of movement. This comes from the form-fitting ‘bowling pin’ cut at the rear of the lower leg and the deployment of their reworked Long Distance body-mapping design. 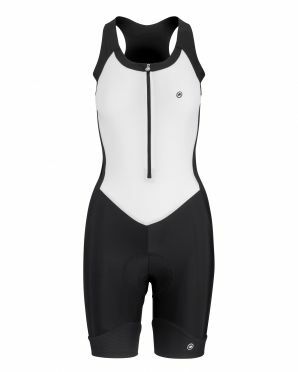 Keep your focus through hot rides, in the Assos Uma GT NS Body Suit white women. 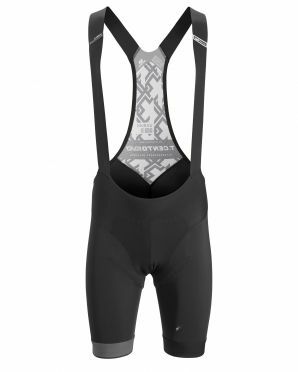 The Sleeveless Body Suit has an ergonomic cut that's perfect in the road riding position, and is constructed from fabrics that'll keep you cool, fresh and comfortable on the hottest days. Type.429 Titanio, used on the lower body, is extremely durable, while Type.112 Dual Tex is highly breathable and dries fast. Both offer protection from the sun. Aerofit fabric is used at the base of the legs for a contoured fit and excellent ventilation. 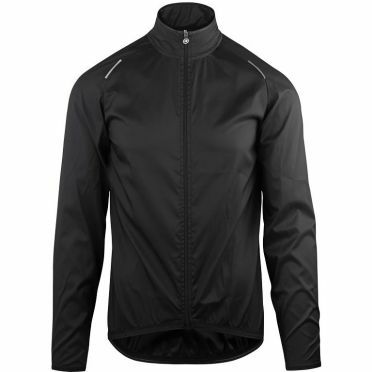 Remain comfortable and protected all year round, no matter how windy the conditions, in the Assos Mille GT wind jacket black men. A riding staple, this jacket is fully windproof with Foil Ultra material to the front; both water repellent and durable whilst ensuring a lightweight construction. On the side panels, Assos' Glossy fabric adds an element of stretch to ensure you have full freedom of movement and excellent breathability. 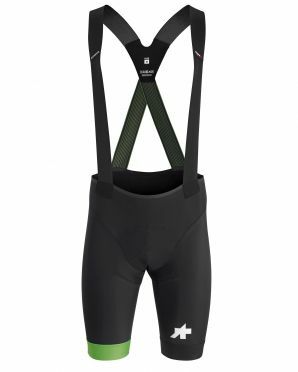 Raising the bar again, the Assos S9 Equipe RS bibshorts black/green men delivers a new wave of top-line innovation to support you with all-day comfort and durability in the toughest races. Part of the new S9 generation, the shorts feature the compressive Type.441 fabric that's silky to the touch and fits like a second skin. The unique rollBar bibstrap bracing technology and ergoBox construction secure the pad insert when cornering fast or jumping in and out of the saddle. Weight is kept down thanks to the Butterfly Pattern that features a single fabric panel on the legs and lower back, and which also helps to reduce friction. 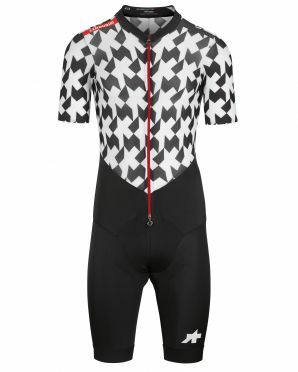 Disappear up the road with the Assos LeHoudini RS Aero RoadSuit black/white men. By fusing together two of their latest innovations, the S9 RS Short and RS Aero Jersey, Assos have created the ultimate lightweight road racing suit. The aeroFit and minimal fabric deliver a close, second-skin fit with exceptional breathability and the compressive warp knit in the shorts is supportive and comfortable. Descending from the neck to the waist is a drag-free triple-slider zip for managing your core temperature on the bike and on the back there are three easy-access pockets for all the necessary race essentials. 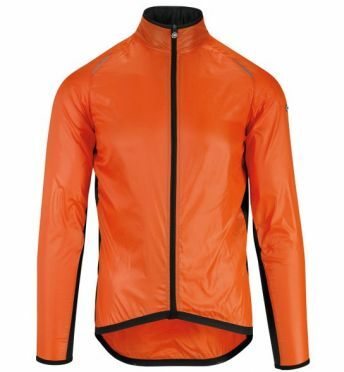 The perfect outer layer for cold mornings or Spring and Autumn rides, the Assos Mille GT wind vest Radjacke red men prevents your core from feeling the chilling effects of the wind. 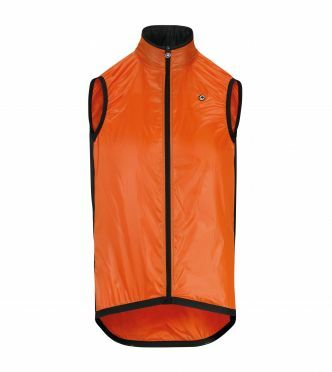 The Mille GT Wind Vest is a cycling essential that offers some insulation while being exceptionally windproof. The Foil Ultra fabric is also water repellent and has undergone a DWR (Durable Water Repellency) treatment to keep you dry in light showers. The lightweight construction means you can pack the vest away into a jersey pocket when things start to heat up. 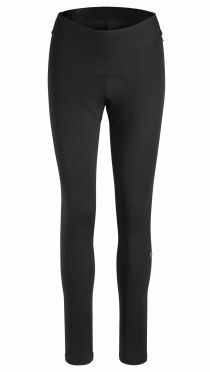 This Assos Uma GT half summer cycling tights black women has been introduced as a result of feedback from Assos sales network, where demand has called for a lightweight, highly breathable summer tight so you can have a bit more protection against the harshest sun on the hottest days. Taking the technology and fabrics used on their UMA shorts as the basis, their engineers have used their tried-and-tested leg design to create a summer tight that give you opulent comfort without compromising freedom of movement. This comes from the form-fitting ‘bowling pin’ cut at the rear of the lower leg and the deployment of their reworked Long Distance body-mapping design. The Assos Rain Bootie shoe covers black is a bootie with which you can face bad weather head-on, these are our race-tuned rework of a classic item of cycling apparel. Fine-tuned for the UCI WorldTour and setting a new benchmark, these Rain Booties rely on a blend of high-tech materials and an ingenious construction that locks out wind and water without compromising on weight or breathability. For this super lightweight Rain Bootie, our fabric specialists have flexed their know-how to deploy an innovative internal membrane that prevents any water from entering into your riding shoe. The perfect outer layer for cold mornings or Spring and Autumn rides, the Assos Mille GT wind vest Radjacke green men prevents your core from feeling the chilling effects of the wind. 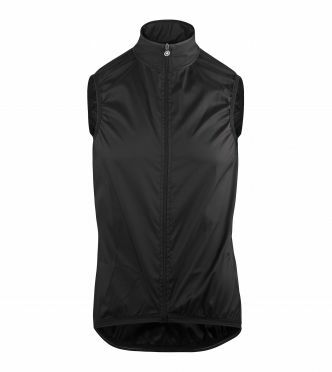 The Mille GT Wind Vest is a cycling essential that offers some insulation while being exceptionally windproof. The Foil Ultra fabric is also water repellent and has undergone a DWR (Durable Water Repellency) treatment to keep you dry in light showers. The lightweight construction means you can pack the vest away into a jersey pocket when things start to heat up. 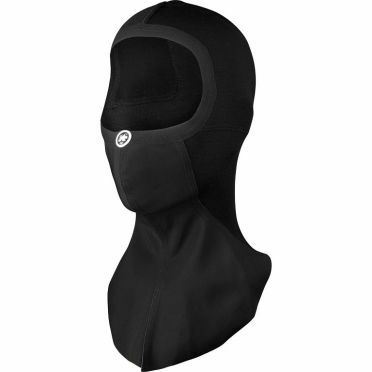 Having the right gear for the coldest winter rides is the idea behind The Assos Face mask ultraz winter black. When others decide to cancel their rides, we’re confident that you’ll ride straight through the winter and embody the ASSOS ethos of Suffer in Comfort. The high performance ASSOSOIRE face mask has been crafted to protect your head from the worst of the elements. Tailored using our latest technical fabrics, this piece has been engineered scrupulously, right down to the level of its fibres. 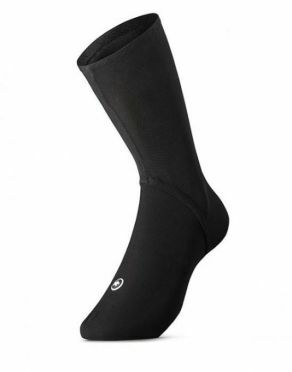 Made to endure the colder seasons on the bike, these tech-savvy Assos Bootie Winter shoe covers black deliver supreme thermal protection in our most compact iteration to date. A reworked overshoe with an all-new ergonomic cut that eliminates wrinkles and an improved aerodynamic performance thanks to its zipless construction, these winter overshoes embody the essential characteristics of a must-have, lightweight, yet super warm shoe cover. Our internal test team classifies them as the convergence of an aero bootie and a warm winter overshoe with a blend of materials that lock out wind and water without compromising on their low weight or breathability. Sounds like prime riding equipment for winter, and these are certainly a product that we’re excited about. The perfect outer layer for cold mornings or Spring and Autumn rides, the Assos Mille GT wind vest Radjacke Schwarz Herren prevents your core from feeling the chilling effects of the wind. 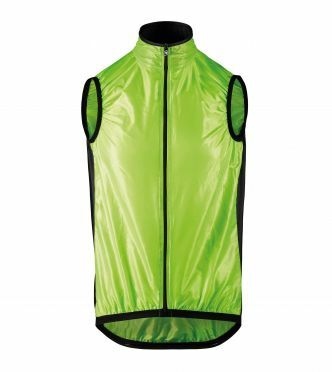 The Mille GT Wind Vest is a cycling essential that offers some insulation while being exceptionally windproof. The Foil Ultra fabric is also water repellent and has undergone a DWR (Durable Water Repellency) treatment to keep you dry in light showers. The lightweight construction means you can pack the vest away into a jersey pocket when things start to heat up. When it comes to dressing for the coldest rides we know that the difference is in the details. 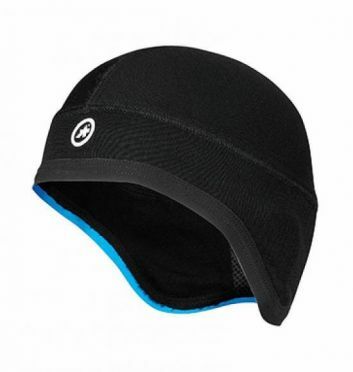 That is why we re-engineered our Assos Cap winter under helmet black to create a piece that will unquestionably keep your head warm on the chilliest of days. At the core of this piece we employed a specific weave of synthetic and natural yarns to give it opulent comfort and performance. Known to us as LanaProppy, the natural yarn within the weave gives this piece protection against the wind, whilst the synthetic polypropylene fibres grant this piece a serious sweat-busting performance. Ultra lightweight, zip-free overshoes, the Assos Spring fall booties shoe covers black for spring and fall riding have an exultant aerodynamic performance. Based on numerous prototypes and race-trialed by Fabian Cancellara in his gold medal-winning time trial at the 2016 Rio Olympics, these booties for spring and fall riding are an elevated cycling overshoe with an all-new ergonomic cut to avoid wrinkles and increase their aerodynamic performance. Lightweight and breathable, these riding overshoes from our ASSOSOIRES collection embody the essential characteristics of a lightweight, mid-season shoe cover by bridging the gap between an aero bootie and a warm winter overshoe with a blend of materials that lock out wind and water without compromising on weight or breathability. the Assos Cento evo bibshorts black men are at the cutting edge of performance clothing development and engineering, designed for exceptional long-distance comfort. Supportive in the legs, offering compression to aid performance, yet with a comfort fit that feels generous around the middle so that freedom of movement is never restricted. 10mm of additional memory foam in the pad feels plush and the single panel, single seam construction eliminates hotspots. The brand new kukuPenthouse innovation is a unique solution for supporting the male anatomy and the Assos goldenGate technology enables the most syncronised contact point between the chamois and the body, moving with you, rather than against you. Easy and fast to use during exercise. 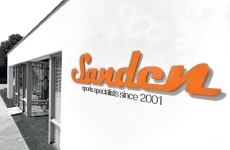 Suits for cycling, gym, etc.